The Nuit aux Invalides will take you for an enthralling trip through 2000 years of French history in one of the most magical courtyards in the capital. Under the impressive shadow of the golden Invalides dome, the 180° 3D lightshow will transport you to the raging revolution, the extravagant frivolities of the Belle Epoque and to the din of the First World War. For an evening of al fresco entertainment on a warm summer evening, this should definitely be on your to-do list. For an off-beat, edgy afternoon activity, Le Grand Train is the perfect hiatus from a choc-a-block-touristy itinerary. Constructed on the tracks and station of an abandoned SNCF train depot, this new pop-up space hosting bars, bistro’s, ping-pong tables, a cinema, pizzeria, and much more, is a perfect sunny day spot to lounge around with friends. Until the beginning of August, for all you fashionistas out there, the summer sales are a great time to bag yourself a bargain in the fashion capital of the world. A walk around the Marais is a unique and eclectic shopping experience as it mixes high-end quality fashion stores, vintage thrift shops and cosmetic and handcrafted jewellery stores, so if you want to stay an arm’s length from the shopping high streets of Paris, in favour of something a little different, this should be your go-to shopping location. For big high street brands, Rue de Rivoli is where you can shop till you drop in the sales frenzy. Be warned, this place is busy and by no means an authentic Parisian shopping experience, but if you are looking for those high street hits, this is where you should go. If you are looking for some summer beach vibes, that doesn’t involve hopscotching over sunbathing tourists at Paris plage, all whilst staying within the capital, plage de Glazart is where you should go. This open air club has been transformed into a beach, so you can go wiggle your toes in the sand and lounge on a deckchair whilst you listen to their live music. A religious festival assembling pilgrims of the Catholic faith together from around the world to celebrate the assumption of the Virgin Mary at the Cathedral of Notre Dame. The two part religious festival includes an evening river procession along the Seine around the islands and a special mass in the magnificent Notre Dame. Until the end of July, the Paris zoo is celebrating the warm summer evenings by inviting the public to visit the zoo late. So if you fancy a late night natter with a chimpanzee, star gazing with giraffes and enjoying an evening apero with friends in an exotic setting, go to the zoo! Step out of the city and breathe some country air without even leaving the 18th arrondissement, with a trip to La REcyclerie. Once an old train station and train tracks running through the rough-around-the-edges district of porte de Clignancourt, this space has been converted into a cantine and creative open space, built on the precept of sustainable living and recycling. There is a fab action-packed summer program that they have cleverly called “swimming poule” (Literally- swimming hen… they have hen’s chilling in their garden… it’s funny) which includes a games corner in a recycled wooden cabin, a summer cocktail selection, bric-and-brac sales and much more! La REcyclerie is also organizing a bike rental service so you can move around the city in a environmentally friendly way. Just go with some ID and pay a small deposit and you’re away! 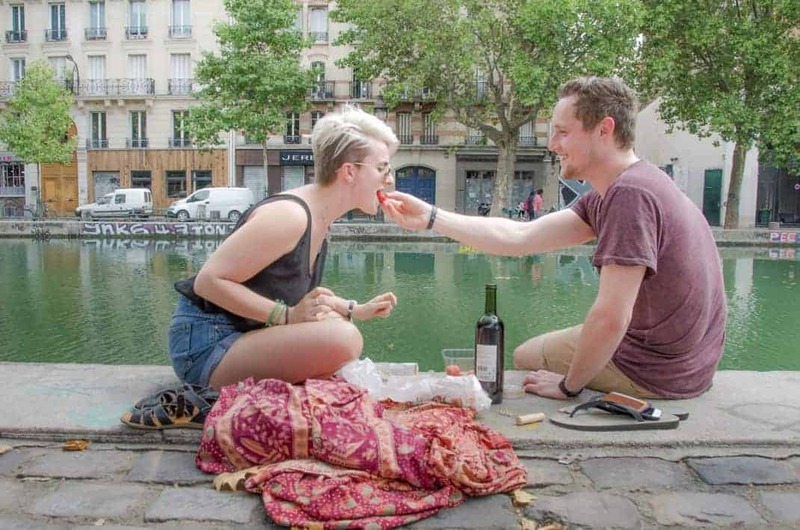 For the 8th consecutive year, the Ourcq canal, which links Paris and the Seine-Saint-Denis, is the wonderful waterside location for their summertime festival. Every weekend throughout July and August you can head to the canal to dance, sunbath, sail, play sport and much more.